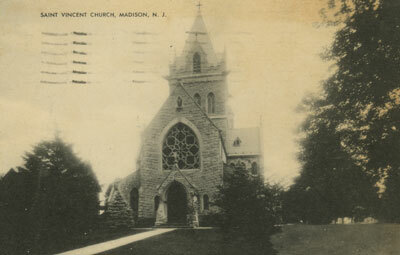 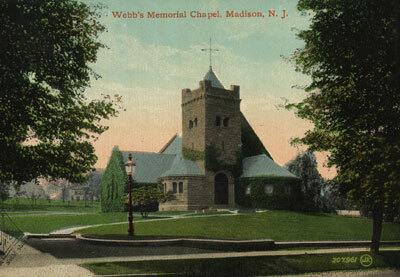 Arial View of Madison, N.J.
St Vincent's R. C. Church, Madison, N. J.
Saint Vincent Church, Madison, N.J.
Where Washington Stopped Madison, N.J.
James Bldg and Borough Hall, Madison, N. J. 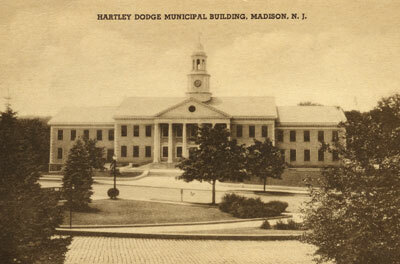 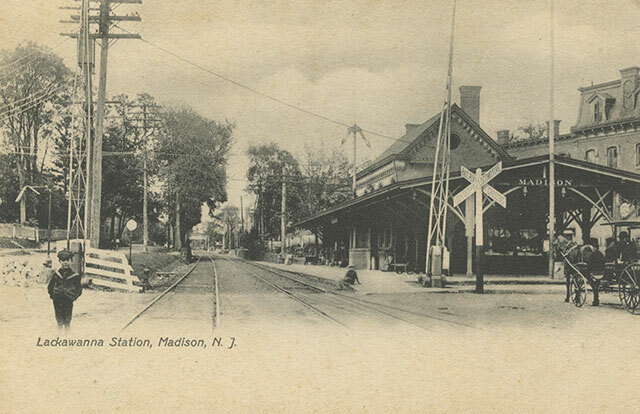 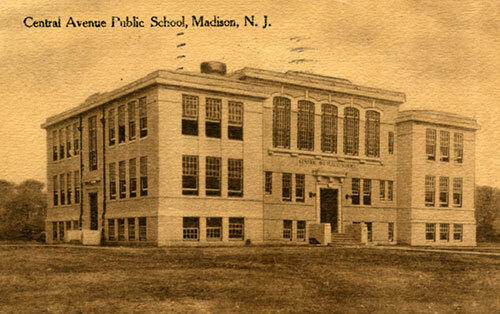 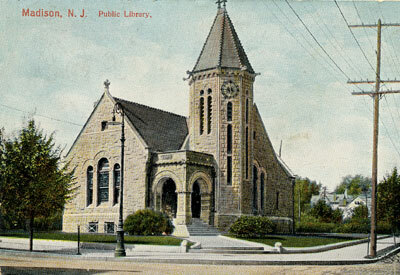 Central Ave. Public School, Madison, N.J.
Greene Ave. Public School, Madison, N. J.
U.S. Post Office, Madison, N.J.
Lackawanna Station, Madison, N. J.
Depot D. L. & W. R. R, Madison, N. J.
Hartley Dodge Municipal Building, Madison, N.J.
Hartley Dodge Memorial Building, Madison, N.J.
Webb's Memorial Chapel Madison, N.J.
Bridge in James Park, Madison, N.J.
James Park Showing Summer House and D.L. 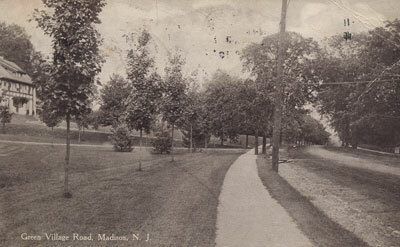 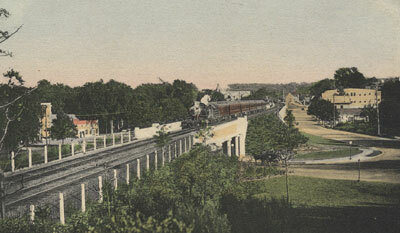 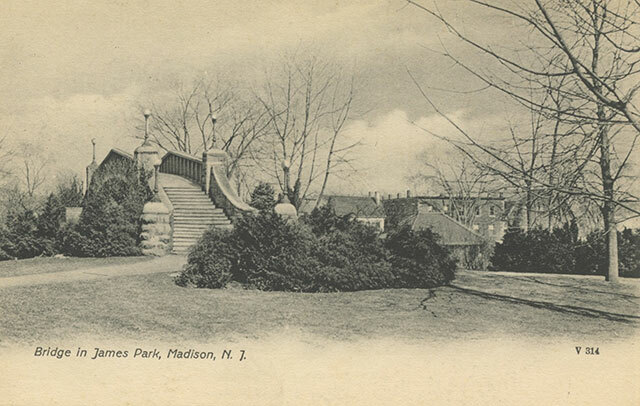 & W. RR Viaduct, Madison, N.J.
View From James Park Showing D. L. & W. RR and Kings Road, Madison, N.J.
James Park, Showing The Foot Bridge and RR Viaduct, Madison, N.J.
Residence of Dr. Ward, Madison, N. J.
Methodist Church Madison, N. J. posted but date unreadable. 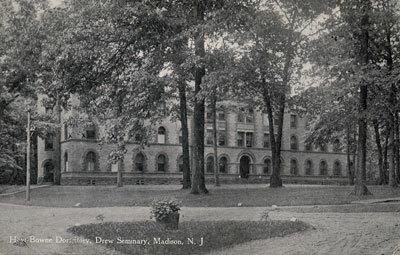 University Center, focal point of extra-classroom life on the Drew University's 130-acre wooded campus in Madison, N.J. 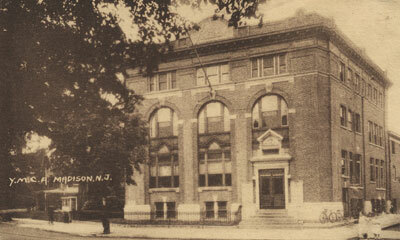 The union building houses the dining hall, bookstore, and various recreational and cultural facilities. 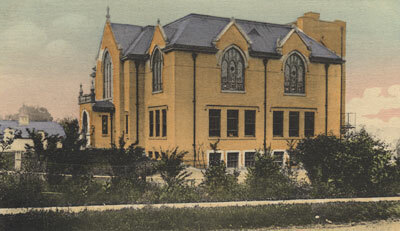 Bayley-Ellard was a Roman Catholic Regional High School. 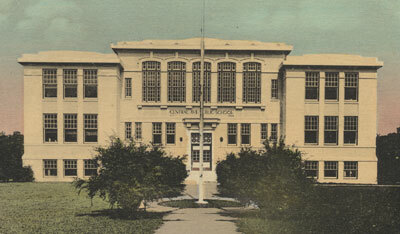 It closed in 2005 due to declining enrollment. 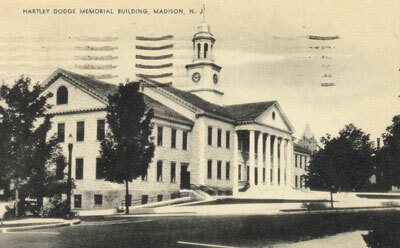 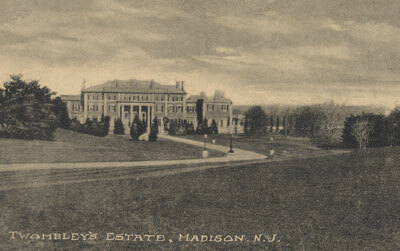 The Madison campus opened in 1949 on the former Walker Estate. 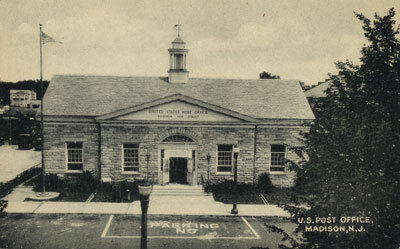 Gym, cafeteria and science building, Bayley-Ellard High School, 1961, formerly the stables and carriage house of the Walker estate. 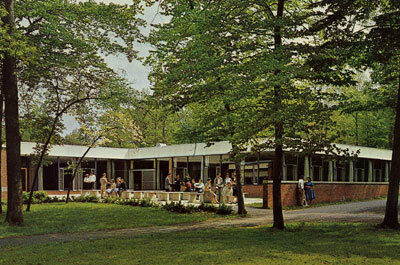 Bayley-Ellard High School, 1961, formerly the conservatory of the Walker estate. 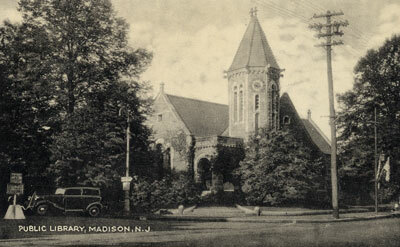 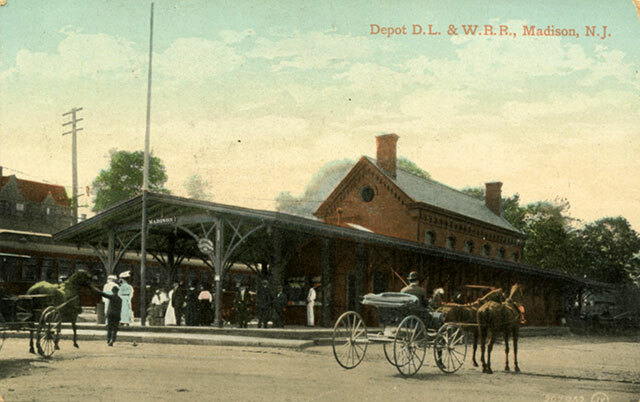 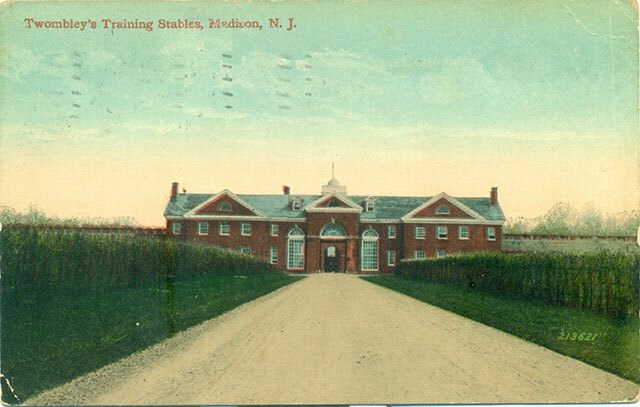 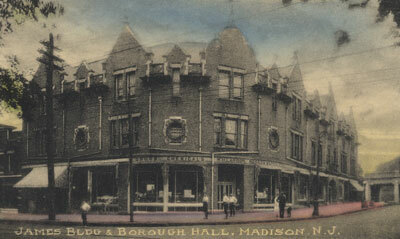 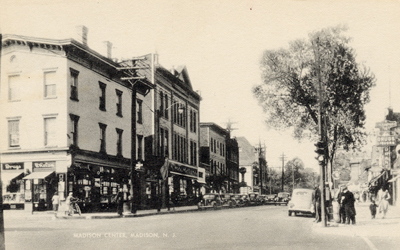 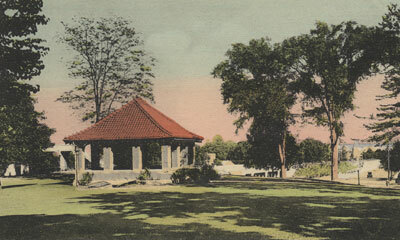 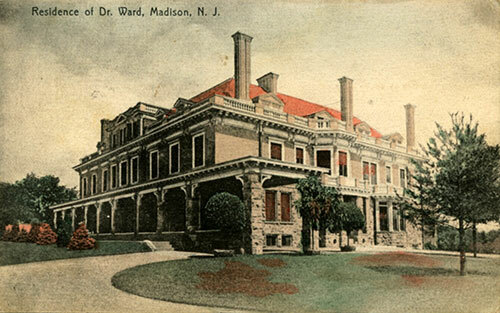 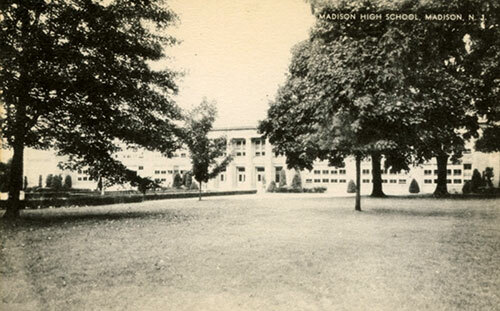 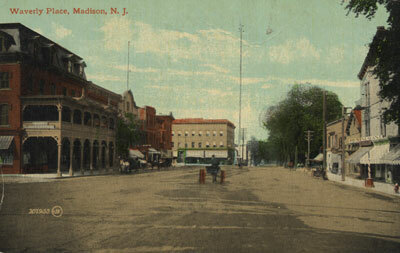 Twombley's Training Stables, Madison, N.J.
Postcard courtesy of Michael Choi. 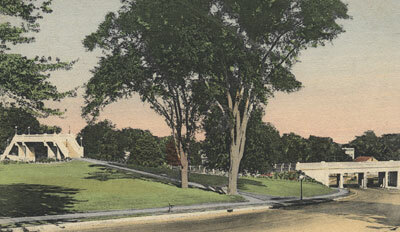 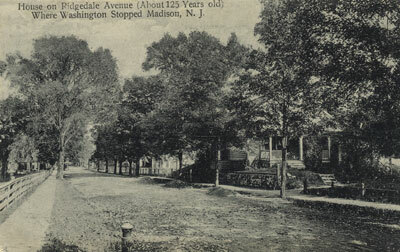 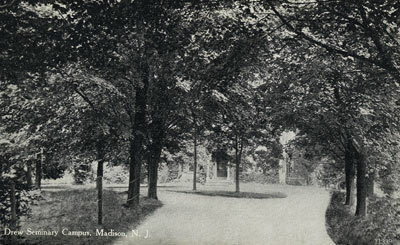 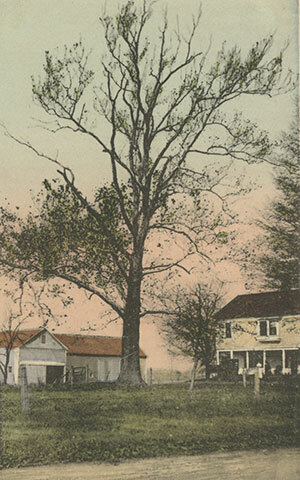 THE OLD SYCAMORE TREE, 120 YEARS OLD PLANTED BY JOHN HANCOCK ON RUSHMORE ESTATE EAST MADISON, N. J. 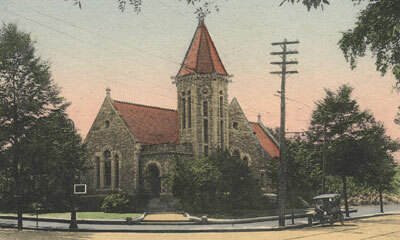 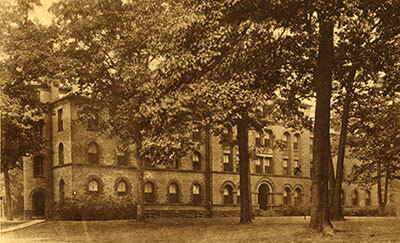 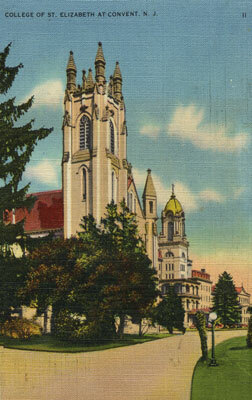 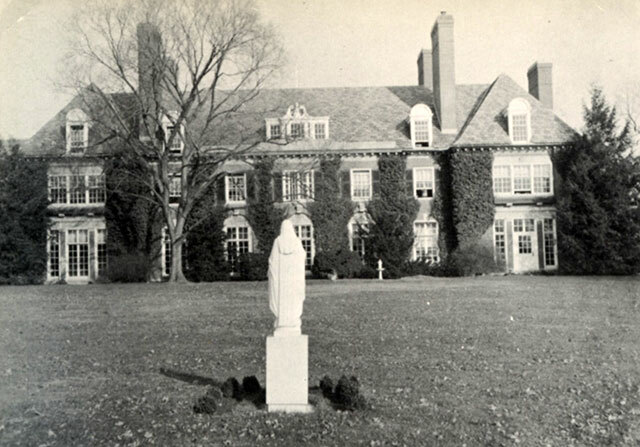 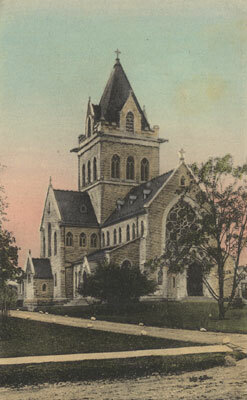 College of St. Elizabeth at Convent, N.J. 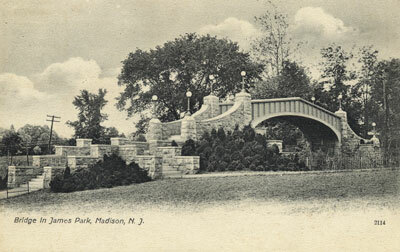 Please feel free to link to this web page. 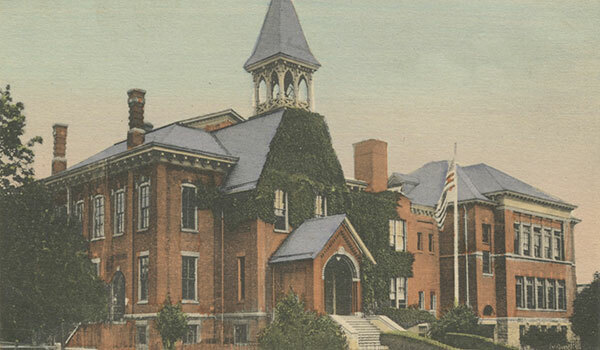 You may use images on this web page provided that you give proper acknowledgement to this web page and include the same acknowledgments that I have made to the provenance of the image. 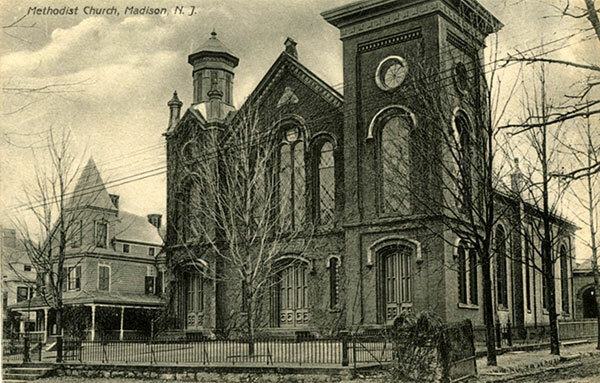 Please be judicious. 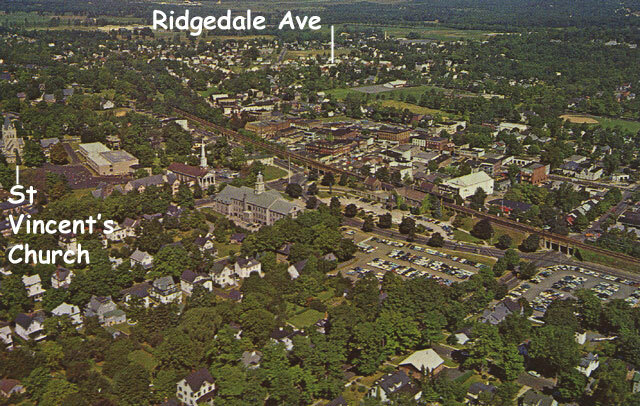 Please don't use all the images. 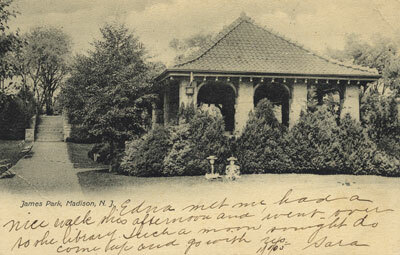 You may quote up to seventy five words of my original text from this web page and use any cited quotes on this web page provided you give proper acknowledgement to this web page and include the same acknowledgments that I have made to the provenance of the information. 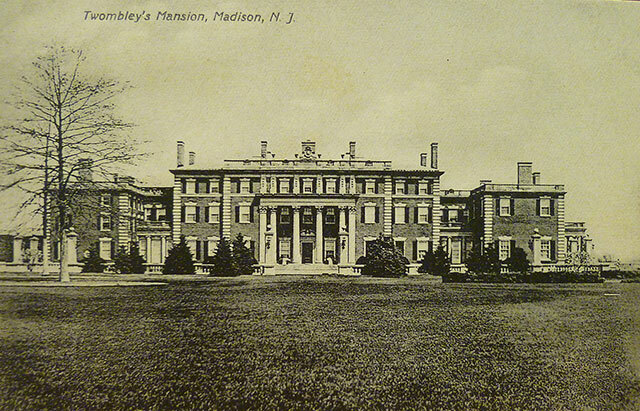 Please do not cut and paste the whole page. 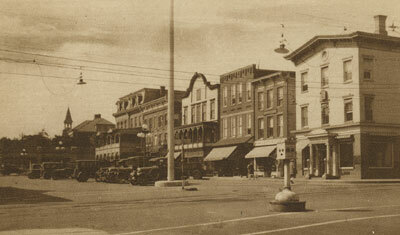 You may NOT make use any of the images or information on this web page for your personal profit. 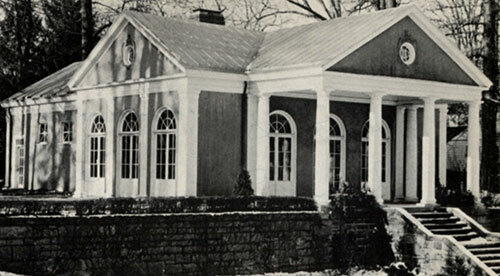 You may NOT claim any content of this web page as your original idea.